The WASP-discovered Jupiter-sized exoplanets all orbit very close to their star, having orbital periods of typically a few days. Yet they are not thought to form there because it is generally too hot. It is likely that they form further out, where it is colder, where ices can form and start sticking together to form the planetesimals that then clump together to form planets. The ALMA array is designed to observe the disks of cold material around young stars, disks that planets form out of. 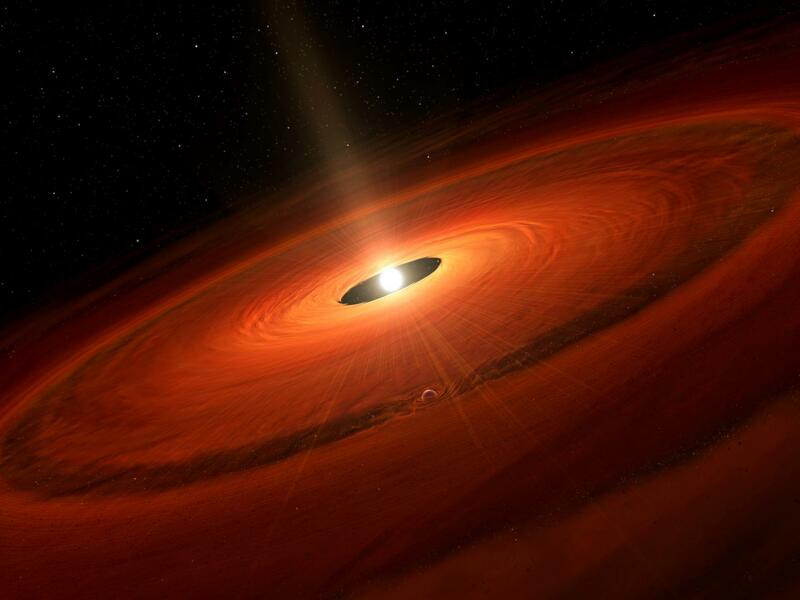 Here’s an artist’s impression, released by the National Astronomical Observatory of Japan, of a Jupiter-sized exoplanet forming out of a protoplanetary disk. Note that the planet sweeps up all the disk material near its orbit, creating a hole in the disk. 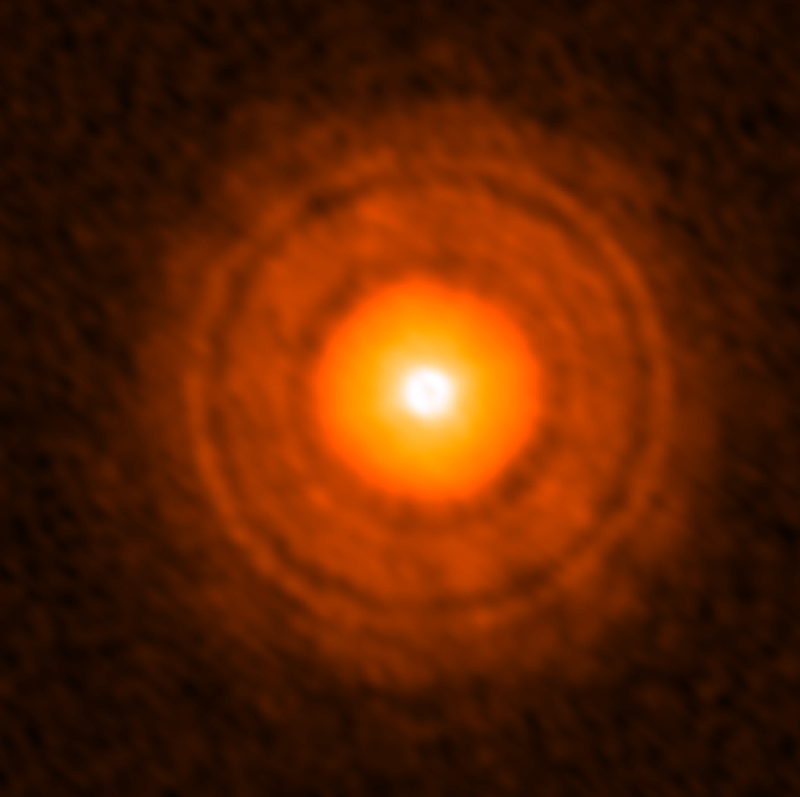 The image below, from work led by Takashi Tsukagoshi and described in a NAOJ press release, then shows the real proto-planetary disk surrounding the young star TW Hydrae, as imaged by ALMA. The image shows gaps in the disk, just as expected if planets are forming there. The planets themselves are too small to be seen directly, but this is among the best images yet of the likely birthplace of giant exoplanets. This entry was posted in Hot Jupiters and tagged ALMA, planet formation, planetesimals, protoplanetary disk, TW Hya on October 20, 2016 by waspplanets.